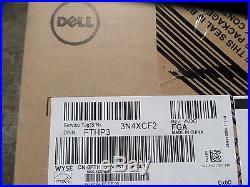 NEW DELL FTHP3 WYSE 5010 Thin Client, 16GB Flash/4G Ram with WES7. 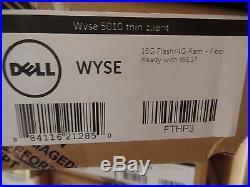 Wyse 5010 TC WES7 16GF/4GR SFP D90D7. Total Number of USB Ports. Number of USB 2.0 Ports. 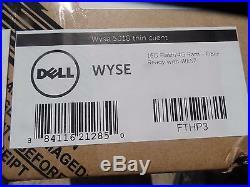 The item "NEW SEALED DELL FTHP3 WYSE 5010 Thin Client, 16GB Flash/4G Ram with WES7" is in sale since Saturday, May 27, 2017. This item is in the category "Computers/Tablets & Networking\Enterprise Networking, Servers\Servers, Clients & Terminals\Thin Clients". The seller is "alvio-corp" and is located in Cleveland, Ohio. 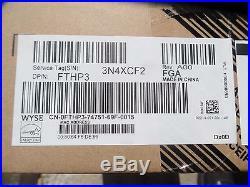 This item can be shipped to United States, Canada, United Kingdom, Denmark, Romania, Slovakia, Bulgaria, Czech republic, Finland, Hungary, Latvia, Lithuania, Malta, Estonia, Australia, Greece, Portugal, Cyprus, Slovenia, Japan, Sweden, South Korea, Taiwan, South africa, Thailand, Belgium, France, Hong Kong, Ireland, Netherlands, Poland, Spain, Italy, Germany, Austria, Bahamas, Israel, Mexico, New Zealand, Philippines, Singapore, Switzerland, Norway, Saudi arabia, Ukraine, United arab emirates, Qatar, Kuwait, Bahrain, Croatia, Malaysia, Chile, Colombia, Costa rica, Dominican republic, Panama, Trinidad and tobago, Guatemala, Honduras, Jamaica.